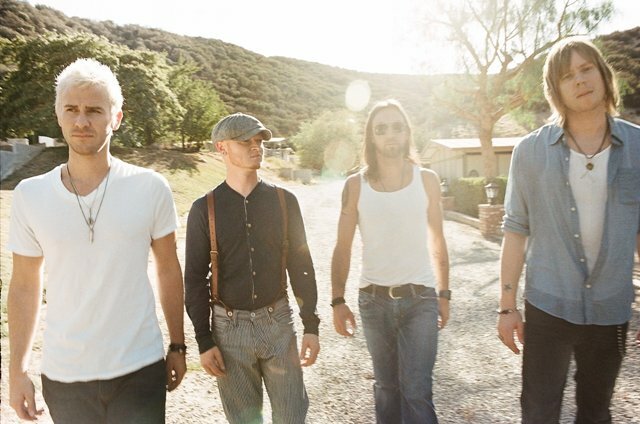 Los Angeles rock band Lifehouse made its debut 10 years ago with the hit single “Hanging by a Moment.” Today, Lifehouse seems to own the moment. Though its title might suggest otherwise, “Smoke and Mirrors” represents the convergence of two goals in the recording studio: first, re-create the band’s power-packed live sound; and second, keep the music radio friendly. “Smoke and Mirrors” was released in March and made its debut at No. 6 on The Billboard 200 album chart, the highest debut of the band’s career. The album’s first single, “Halfway Gone,” was co-written by lead singer Jason Wade, Kevin Rudolf (“Let It Rock”) and producer Jude Cole, who had worked with Rocco Deluca, Beth Orton, MoZella and others). The song has done handsomely well on the Hot AC radio charts, and now the band is trying to decide on a follow-up single. Clearly, Lifehouse has staying power. “Hanging by a Moment” is a classic for many rock fans of a certain age. (The single beat out Janet Jackson and Alicia Keys in 2001 for a Billboard Music Award for “Hot 100” single of the year.) And “You and Me” (a 2005 song) has the honor of being a popular wedding song. Lead singer Wade is a friend of Chris Daughtry’s and has written a number of songs with the fifth season “American Idol” finalist. So it comes as no surprise that Lifehouse has joined Daughtry on a spring tour that began in late March and ends in June. The band joins headliner Daughtry and opening act Cavo for a show at 7:30 p.m. Sunday night at WaMu Theater. Tickets: $32.50-$42.50. Lifehouse includes Wade, guitarist Ben Carey, drummer Ricky Woolstenhulme and bassist Bryce Soderberg, who grew up in Victoria, B.C. I reached Soderberg by phone recently during a two-day break in L.A. Soderberg was cheerful, energetic and feeling very positive about the band’s new album and tour. Q: I know that Jason (Wade) and Chris (Daughtry) are friends who collaborated on “Had Enough” and other songs. Did a tour with Daughtry just seem like a good fit? Q: Other than being on tour with good friends, what’s different about this tour? Q: The members of Lifehouse have really been road warriors, touring relentlessly. Is there a benefit to constant touring? Q: What do you do on the road to keep yourselves from going crazy? Q: I’ve known some dysfunctional bands that could use some help. Q: I read that drummer Ricky (Woolstenhulme) is like the band’s the camp counselor. Q: Congratulations on the success of “Smoke and Mirrors.” It’s the highest chart debut thus far for the band? Q: What was the goal on this album? On the one hand, I’ve heard that you were looking for more radio-friendly sound; and on the other hand, the live sound that you’re known for. Was it a half-and-half split? Q: How did you end up working with Kevin Rudolf, who had recorded “Let It Rock” with Lil Wayne? He certainly comes from a different camp. Q: And what about Richard Marx? Q: The song “Wrecking Ball” features your first lead vocal for the band? Q: Had you wanted to do that for some time? Q: What’s the next single from “Smoke and Mirrors”? Q: “You and Me” has become a huge wedding song. Do you have any sense of how often it gets used? It must be an honor to record a song that becomes a favorite for ceremonies like that. Q: What’s your best tool for promoting the band on the Internet? Streaming videos? You’ve got 70 million viewers. 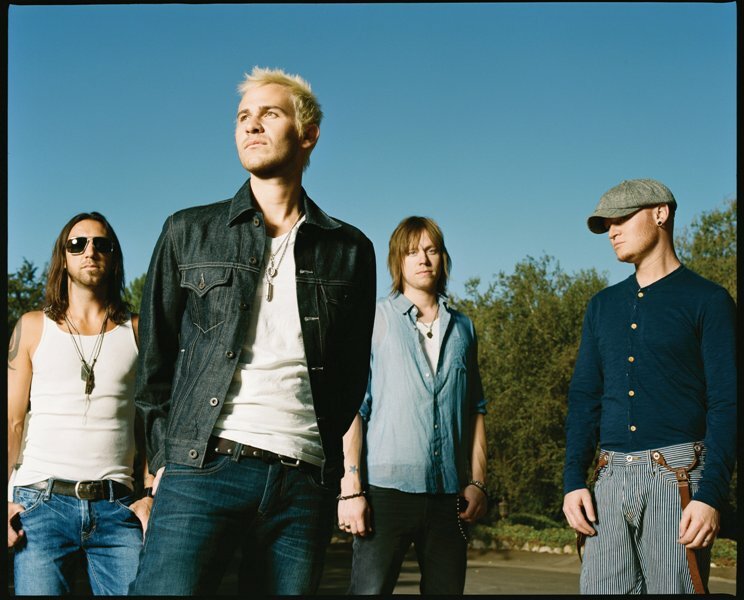 Q: When I did a Google search for the band, I discovered that over the years, a lot of fans have speculated about whether Lifehouse is a Christian band. Has the band addressed this? Read a story about the unique features of WaMu Theater here. What do you think of Lifehouse’s new album, “Smoke and Mirrors”? You can post a comment below. From the first time I ever listened to a Lifehouse song, I became a loyal fan for life. Keep on putting out the great music you do. It totaly captures the soul.